If you have irritable bowel syndrome (IBS), you've likely heard about home remedies to manage the condition, such as aloe vera gel. In fact, a number of ads tout aloe vera juice as a miracle treatment for IBS, but their trustworthiness is questionable. After all, ads are one thing; solid research backing is quite another. So, how reliable is this plant-based substance, really? With this primer, take a look at what is known about aloe vera and whether it is safe and effective for IBS. Aloe vera is a gel extracted from the inner pulp of the leaf of the aloe vera plant. Aloe vera gel should not be confused with aloe latex, a substance that is derived from the inner lining of the plant's leaf and not the pulp. While aloe latex contains anthraquinones and has the effect of a stimulant laxative, aloe vera gel contains a component called aloin. This substance has laxative effects and has been banned by the Food and Drug Administration (FDA) for use in over-the-counter (OTC) laxatives. Fortunately, it has been processed out of most aloe vera juice formulations. Why Use Aloe Vera for IBS? For generations, aloe vera gel has been used to treat a variety of medical ailments. Proponents of this plant-based substance claim that it has anti-inflammatory and immune-boosting qualities. 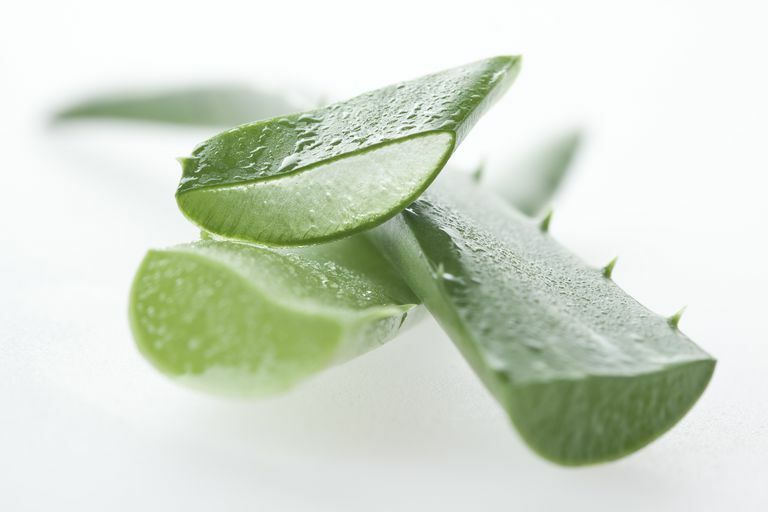 It is thought that aloe vera's anti-inflammatory effect could help reduce the visceral hypersensitivity seen in IBS. Visceral hypersensitivity basically means that the gut has more sensation than it should, making it more sensitive to pain and discomfort. It is considered one of the main causes of gastrointestinal disorders. To date, research on the use of aloe vera for IBS has been almost nonexistent. One study found a small but positive effect of aloe vera gel in patients with mild to moderate ulcerative colitis, a different medical condition from IBS, but with similar symptoms. This finding prompted a study comparing one month's use of aloe vera to a placebo in a small group of IBS patients whose symptoms had not responded to conventional IBS treatment. The results indicated that although there were "trends toward improvement" in various IBS symptoms, the outcomes were not statistically significant. Interestingly enough, the researchers concluded that aloe vera gel had no effect on those who suffered from constipation-predominant IBS (IBS-C). Also, participants who took aloe vera gel reported no major negative side effects, although there was a non-significant statistical trend toward distension among them. At present, no research exists to support the claim that using aloe vera gel will help reduce IBS symptoms. Hopefully, further clinical trials will be conducted. Until then, you might be better off looking into other better understood OTC remedies. As always, remember to consult with your physician before trying any OTC product. Davis, K., et. al. "Randomised Double-Blind Placebo-Controlled Trial Of Aloe Vera For Irritable Bowel Syndrome" International Journal of Clinical Practice 2006 60:1080-1086. Langmead, L., et. al. "Randomized, double-blind, placebo-controlled trial of oral aloe vera gel for active ulcerative colitis" Alimentary Pharmacology and Therapeutics 2004 19:739-747.